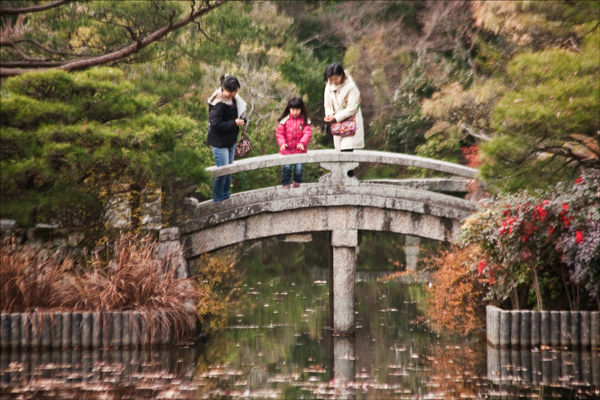 Traditional Japanese gardens are incredible area's of calm. Add to this the colours of Autumn they become magical. Here in Kyoto one of those famous bridges to.